Ideal for people who believe in preparing an extensive spread of delicious food for their friends and family, the Panasonic MX AC 350 mixer grinder is a real value for money investment. Made of superior quality material, the Panasonic super mixer grinder enables you to cut, chop, mix and grind at a relatively faster speed. Including three jars of varying capacity, the Panasonic mixer grinder empowers you to add more variety to your culinary presentations. Additionally, the Panasonic mixer grinder also comes with Samurai-edged blades enabling high level of perfection in the grinding and mixing jobs that are undertaken in the kitchen. Affordably priced, the 3 jar mixer grinder by Panasonic comes with a unique feature called the interlocking system that ensures the jar is safely fixed on the grinder before the motor is turned on. Additionally, its safety lid prevents accidental spill over from jars. With three different speed settings, the Panasonic 550 watt mixer grinder is fully equipped to meet all types of grinding requirements. Coming in a compact set up, the Panasonic 3 jar mixer grinder is very easy to accommodate in the kitchen. 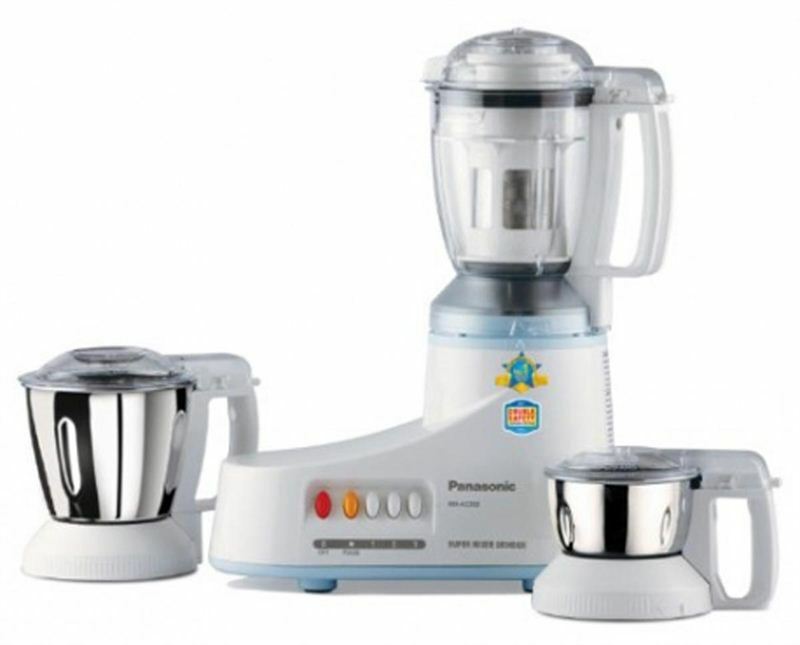 With its heavy duty motor and sturdy design, the mixer grinder from Panasonic is a worthwhile buy.